As students return to class this week, there are two data points that highlight the quality of Springdale schools. First, top quality gets top pay. Educational excellence is why Springdale teachers are the highest paid in the state. The average salary for a Springdale teacher is $59,000 – thousands above the average salary of our neighboring large districts. Hiring the best teachers and ensuring they’re the best paid educators in Arkansas is a Springdale policy that hasn’t changed in decades. Second, Springdale’s business community has demanded – and gets – quality in its schools. That’s why Chamber members strongly support teachers and schools financially. Just last week, Chamber members donated more than $120,000 in gifts and services to our educators and individual schools as part of our annual Springdale Teacher Appreciation Event. Our members have been uniquely supporting Springdale teachers this way for 52 years. 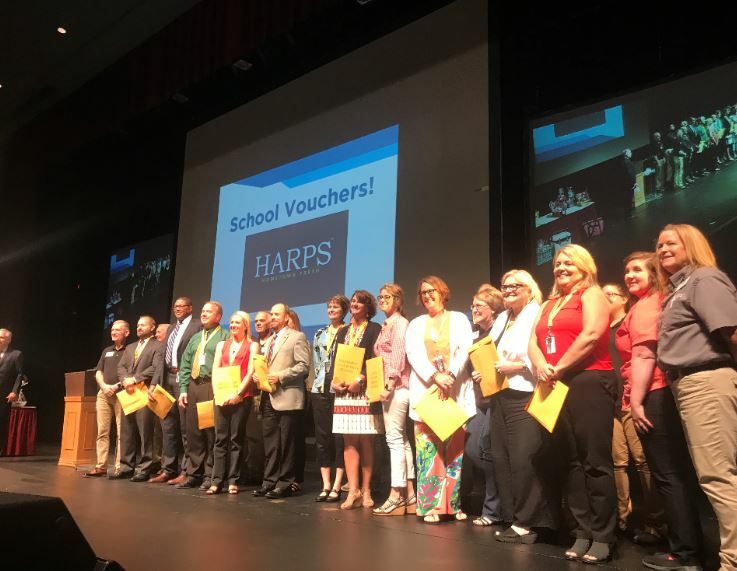 In the last decade, Sam’s Furniture and Harps Food Stores have together contributed almost a half million dollars in support of Springdale school excellence. Dozens more Chamber members contribute to this community-wide show of school support.